Yep. It's my day at the 'Stache. Don't worry. It's a very short, sweet, and to the point post. You'll have plenty of time to make that 4AM sale at Kohl's. Burt thinks you're an idiot for getting up that early. Burt is also pissed that his turn as Boss Hogg in the big-screen version of The Dukes of Hazzard didn't even touch the iconic performance and sheer brilliance of Sorrell Booke's origination of said role in the TV series. Ignore Burt. He's bitter. So, get on over there. This has gone on too long already. 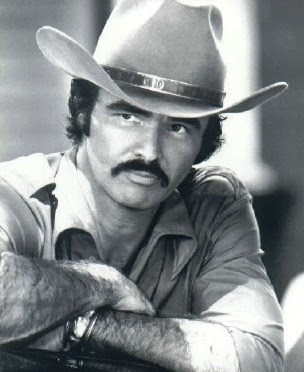 Will Burt be at Kohls when I get there?